I woke up this morning to open my email and find a message from Steve Riley, the best publicist in the world, that the writer of the blog Penny Carnival had mentioned my book. That’s nice, I thought, and I clicked on the link. Nice does not cover it. 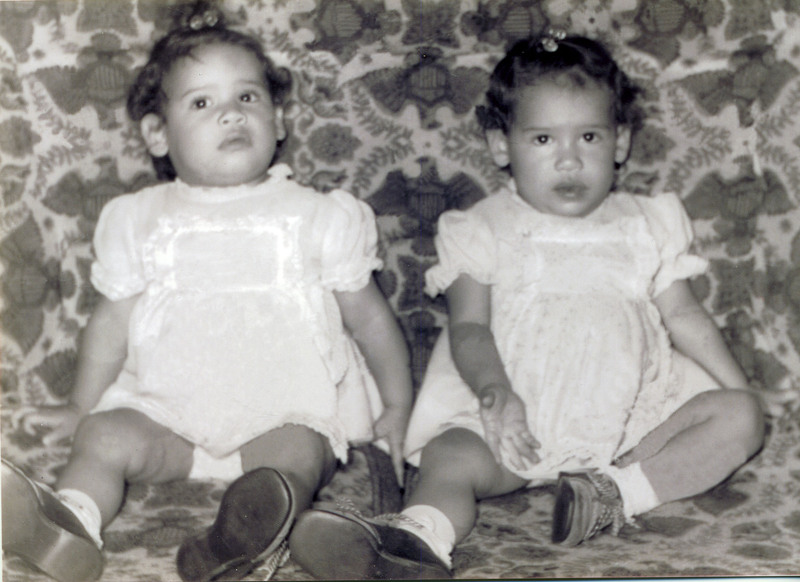 I hope you will read this Penny Carnival post – not because it is about me, me, me. It isn’t. It’s about the meaning of prayer beads and the purpose of writing about them. And the author of the blog, Megan Cooley, is very perceptive and totally gets what I was trying to convey in the book and in the CraftSanity interview. Megan, thank you so much. You have humbled me and made me so grateful for the opportunity to reach people like you. 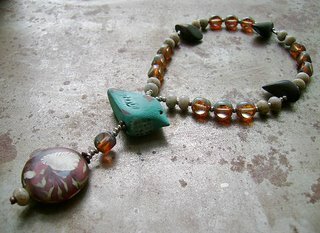 And another lovely mention on Laura Brittain’s blog, Heart of Compassion Malas. Laura recently left a comment on one of my blog postings and said how she loved to make malas and posts some for sale on Etsy. We’re going to talk to her in more depth in a future post. prayer — for parishioners and for visitors such as yourself. different cultures. So much to learn! I agree. So much to learn. And all of it from the great people I am meeting as a result of writing about prayer beads. You know you want to listen to me blah, blah, blah for an hour! I cannot imagine why anyone would want to hear me talk for an hour, but Jennifer Ackerman-Haywood sure did. This firecracker interviewed me about a month ago, I think, on the subject of Bead One, Pray Too and crafting with a spiritual bent. We had a ball – talked for two-and-a-half hours, she from her home in Michigan, where she had just put the kids to sleep, and me in Pinole, just after dinner. I do not know how she does it – she’s a mom, a crafty crafter, a wife and has a job, too! AND SHE DOES TRIATHALONS! Really, we must draw the line somewhere! Overachiever. This week, Jennifer posted a podcast of our interview today on her fabulous website, craftsanity.com. It is a great site, where she blogs, offers project instructions and tips, conducts interviews with other crafters and generally kicks up a darn good time. While you are on her site, be sure and check out the great pictures she has of the craft projects she does with her kids. This one – of her daughter, Abby’s, “first official stitches” – is one of my favorites. And look at the rubber band Easter eggs! Anyone who takes the time to put rubber bands on eggs gets my vote for craft hero of the year! I am going to admit that I have not listened to the podcast – yet. I can’t imagine listening to myself for an hour or more without wanting to stick knitting needles in my eyes. But I will – I promise. Someone else listen first and email me so maybe I’ll know I don’t sound like a total idjit. Maybe I’ll download it on my iPod, mix myself a strong margarita, and head for the backyard where, hopefully, no one will hear me scream. Yikes. But I am very, very grateful to Jennifer for her interest in my work. I hope you all visit her site and subscribe – she is a terrific crafter and a great writer, too! When you pulled out the rosary from your purse and gave it to me in San Diego, you could not possibly have known the extent to which I would use it! Every day. And every night it is under my pillow because I generally pray myself to sleep—how sweet is that? Thank you so very much for the way in which your gift has enriched my life. And Nancy tells me your book is doing so well—congratulations! Anyone else got a nice thank you to share from someone they gave a set of prayer beads to? While I was away in Los Angeles, I received an email from Heather Powers, the highly creative brain behind the Art Bead Scene blog and creator of some gorgeous, lust-worthy beads. She let me know that she had posted a review of Bead One, Pray Too on her site and I am so pleased! It is a most wonderful review and I am humbled by the lovely and kind thngs she wrote. That is the first happiness. The second happiness is that she had been moved to create a few sets of prayer beads with some fabulous beads she made herself. I had been buzzing around her site one day when I saw these little beads she made in the shape of birds and I got so excited! They would, I wrote her, make great invitatory beads for an Anglican rosary (or a great bead for a Pearls of Life, or a pagan rosary, or some Baha’i prayer beads, or a shaheed for an Islamic tasbih or subha). She took my suggestion and you must see these! The birds are such a suitable symbol for prayer beads. If you are Christian, they can represent the Holy Spirit, and for people of other faiths they can represent peace, freedom or transformation. I LOVE THEM. Spend some time on Heather’s great blogs, looking at the great beads she creates. There is a lot of inspiration there for prayer beads of all kinds! And one more happiness: Heather posted her review of my book on amazon.com and when I went to look at it, someone else – a total stranger – had posted another 5-star review. If any of you know Jacqueline C. Young, give her a smootchie for me! This must be my lucky weekend! Not only did Bead One, Pray Too appear in an article in The Toledo Blade (see last post!) but it was also in an article in The Grand Rapids Press – on the same day! Thank you Juanita Westaby for a great article, and thanks to my friend and colleague Charles Honey for assigning her the story. In the Grand Rapids story, I love the description of the way Meg Jenista uses her Catholic rosary – to make 10 prayer requests for the world, the world, the nation, the church, family and friends. Wow! Meg, if you are reading this blog, please contact me and let’s talk a bit more. Very cool. Oh – and a clarification or two – I do sometimes use a Catholic rosary, both with and without the traditional Catholic prayers; and I didn’t say the rosary began with the Orthodox. I am not sure what she meant. Yeah! 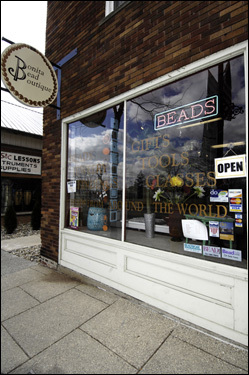 Here is the article about the trunk show of the prayer beads from Bead One, Pray Too currently on display at Maumee, Ohio’s Bonita Bead Boutique. The article appears in today’s Toledo Blade. Thank you, David Yonke, religion reporter extraordinaire! I love the part of the story about the sisters, Anita and Ann, who run the store. I only wish they had better pictures for the online version – David told me his photographer got some great pictures. Darn! And note what Ann and Anita say about being able to make a set of prayer beads for as little as $10-15. Very true – you can actually make some very nice ones made of Czech glass and maybe even some Swarovski for that amount. I hope that this article moves you to make a trip to your local independently owned bead store. Beader-extraordinaire Katie Hacker was gracious enough to write a very positive review about Bead One, Pray Too on her excellent blog. Take a look. I am very flattered – she is a beading superstar. I am over the moon about this. Will have champagne tonight!